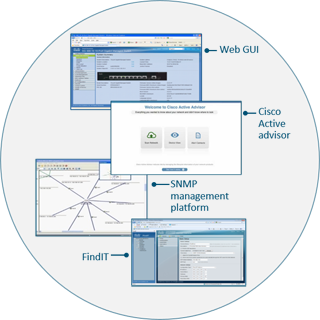 With a Cisco SF250-48HP Smart Switch, you can achieve business-class network performance and security without paying for advanced network management features that you will not use. When you need a reliable solution to share online resources and connect computers, phones, and wireless access points, but low cost is a top priority, Cisco 250 Series Smart Switches provide the ideal solution. 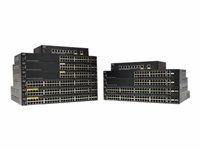 The Cisco SF250-48HP, part of the 250 series, is the next generation of affordable smart switches that combine powerful network performance and reliability with the essential network management features you need for a solid business network. These expandable Gigabit Ethernet switches provide basic management, security, and quality-of-service (QoS) features beyond those of an unmanaged or consumer-grade switch, at a lower cost than managed switches. And with an easy-to-use web user interface andAuto Smartports, you can deploy and configure a complete business network in minutes. 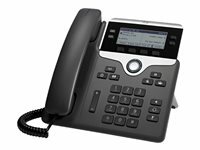 The Cisco SF250-48HP switch simplifies the deployment of IP telephony, wireless, video surveillance, and other solutions by allowing you to send data and power to network endpoints over the single network cable, eliminating the need for separate power supplies or outlets. PoE+ provides up to 30W of power per port, enabling deployments for 802.11ac wireless access points, Pan-Tilt-Zoom (PTZ) IP cameras, videophones, and thin client devices, delivering more flexibility and investment protection.